Centrifuge Extractor (Motorised) for Bitumen Testing - Centrifuge Extractor, Electrical Operation, Capacity 1500g, with a Dimmer stat for speed control from 2,400 to 3,600 rpm. 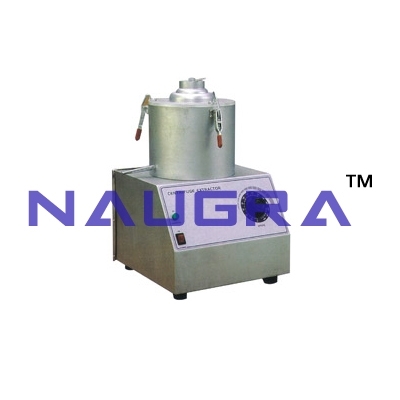 Suitable for operation on 230 V, 50 Hz, Single Phase, A.C. supply..
We are leading manufacturers, suppliers & exporters of Centrifuge Extractor (Motorised) For Testing Lab for Bitumen Testing Lab. Contact us to get high quality designed Centrifuge Extractor (Motorised) For Testing Lab for Bitumen Testing Lab for schools, colleges, universities, research labs, laboratories and various industries. We accept bulk orders for government tenders in all countries around the globe.